FFA is thrilled to welcome four new members to its Board of Directors, who represent festivals of different sizes and from varied geographical locations. They join several existing directors who are committed to advancing FFA’s growth, programming and networking opportunities. Cara Ogburn is the Programming & Education Director for Milwaukee Film, which hosts the annual Milwaukee Film Festival, a 15-day film festival that, in 2017, boasted attendance over 84,000 for 297 films (shorts, features and VR shorts) and which will in summer 2018 be assuming operation of the historic Oriental Theatre year-round. 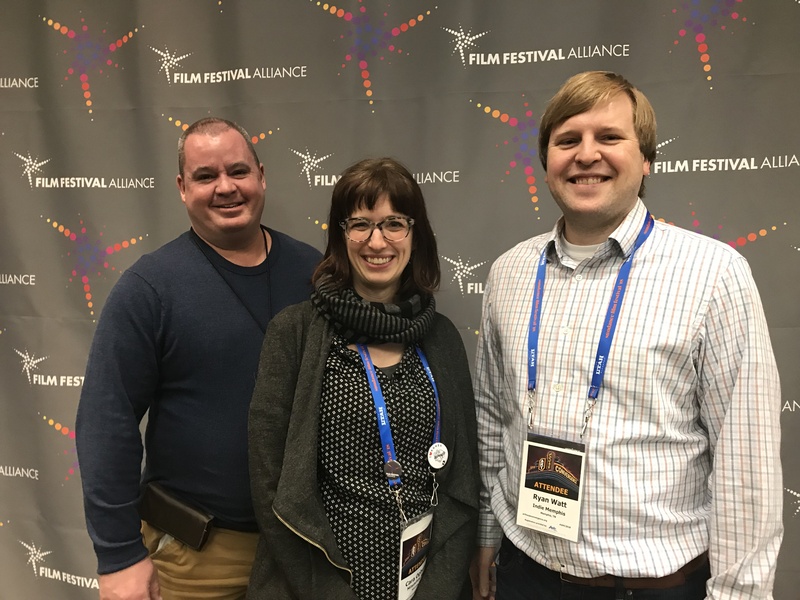 Cara began working for the Milwaukee Film Festival seasonally in 2011, curating and planning panels, workshops, and other programming for filmmakers and general audiences to extend the films onscreen. With twelve years of experience teaching at the college level, in 2013, Cara joined Milwaukee Film’s year-round staff, overseeing strategic planning and a resulting expanded slate of programs for youth, filmmakers, and general audiences. In late 2015, Cara was promoted to direct the Programming Department in addition to Education, guiding the process and team that curate all content presented on and off-screen during the festival and year-round. Patrick Shepherd serves as the Associate Director of the Cleveland International Film Festival and marks his twentieth year with the organization in 2018. Joining the organization as a seasonal staff member in 1999, Patrick was hired as Development Director in 2001 and promoted to Associate Director in 2006. He has managed the CIFF’s fundraising efforts as our attendance tripled (to 106,504) and our budget increased to just over $3.2 million in the last 17 years.